> However, Wu is convinced it'll be enough to save the city a fortune in electricity bills for street lighting. Didn't I see something like this in a Bond movie? And in at least two Simpsons' episodes?
" multi-terrawatt laser" ... that will be useful, just walk outside with a cigarette, no need to worry about matches - it will just light itself. It's a Terrahawk crossed with a Scots engineer, as any fule kno. A terrawatt is a watt of power generated in space but consumed or dissipated on Earth of course. Tsk! Watt are they teaching them in school these days? I reckon they could rent out the nightlight to other parts of the world on cloudy days which may help recoup some of the investment. Lighting streets with lamps is one thing. Shining the sunlight onto an area 7/24 is not the same thing. You can turn a street lamp OFF. The satellite is a "one size fits all" kind of thing. You can't control it. It's ON whether you want it or not. But I think it'd be a nice target for ground-based 'satellite killer' laser testing - mirror? Oh CRAP! nice microclimate it will create locally. also -- what about micrometeoroids? last but not least -- how many hours of beauty sleep would chengdu Misses Hiltons miss? Does this man own a private island and an army of goons?? He should probably be stopped. Hey now. Goons? That's a bit harsh. They're either Henchmen or Minions. Henchmen never get laid, just paid to be bullet magnets/early alarm systems - need to be a motivated evil lieutenant or better. Would those be miniature onions? aha the old focus-sun-for-night-light rather tha focus-sun-for-death-ray switcharoo. cunning. A city having no electricity bill for its street lighting sounds like return to me. Trying to get some numbers to go with that notion didn't yield much, but a BBC News article on the City of Westminster running their street lighting at 75% on average mentioned it would save UKP 420.000 on their leccy bill. Westminster is very very roughly 1% of Chengdu in area, but it's probably lit more brightly than Chengdu on average; let's say four times as bright, for ease of calculation. So taking that amount saved and multiplying by the difference in area we get about UKP 42 million, without correcting for energy price differences between UK and China. This would not quite pay for a single Space-X launch, but it's in the ballpark. I expect you'd need at least a few of them to get the materials plus an assembly robot up and into geostationary orbit. If this guy has designed a really lightweight mirror it miiiight work. The atmospheric drag up there at 36,000 KM is negligible, but such a large mirror might start acting like a solar sail. Compensation for that should be possible by careful orientation, which can be handled by a couple of gyroscopes. And the power for the gyroscopes can be generated by solar panels. Just make sure those gyroscopes are of a high enough quality (no China Export) or the satelite will be as usefull as Chandhra currently is. but such a large mirror might start acting like a solar sail. Never mind that, you actually have to continually adjust the mirror's orientation to keep the solar reflection aimed at Chengdu anyway. If it's geostationary it will have a fixed position w.r.t. its target but the angle towards the sun will change with the time of night, and if he's putting the mirror in one of the appropriate Lagrange points the target will move relative to the mirror. Plus it will be more distant, hence appear smaller, and he'd need a way bigger mirror (so more materials and thus rocket launches) if he's to get anywhere near enough light on his city's streets. A bunch of solar panels and a stonking big battery looks way more feasible. Those Lagrange points are more than ten times the distance from a geostationary orbit (roughly 385,000 vs 36,000 KM for L3, L4 and L5, L1 a bit less and L2 a bit more but completely useless behind the moon), so it will supply less than 1% of the light with the same size of the mirror. Besides that, the mirror will see Chengdu only about half the time and half of that while it is in daylight. For some reason I don't really think that would be a good idea. Problem: you need to move a parabolic mirror that is pointed/focused at a city from geosync orbit. d) the surface area of your mirror must be 'city area' x 'n' x 'm', with extra factors added in for reflectivity and atmospheric losses. So, HOW BIG does that mirror need to be? Totally irrelevant as the mirror will be eclipsed at the time of greatest need anyway, unless it is in a very complex (and inherently unstable) orbit. actually, if the orbit were not perfectly along the equator, the eclipsing problem would be solved [but of course the satellite would appear to move north and south from the earth's perspective]. So the earth 'eclipsing' problem is real, but solvable. Right idea, but "n" doesn't appear in the final equation. If it's transferring all incident sunlight then the incident power density simply cancels. Atmospheric loses are partly factored in already too, the sun's light has to come through it, angle obviously varies, but it does this during the day, leaving city area * m as the important bit. The fact sensitivity is approximately logarithmic should help a lot though, 1/100th the light power wont run a solar farm, but incident solar irradiation is usually taken at roughly 1kW/m2, yet a 20W LED bulb can light a reasonable sized room. On the negative side, area is of course square with dimension, so 1/100th the incident power requires 1/10th the diameter of the area you're trying to illuminate. Still sceptical, it has a pipe-dream feel to it, but not physically impossible. "So, HOW BIG does that mirror need to be?" Very, very big. But that is far from impractical, because the mirror can be made of plastic just a few molecules thick which is unfurled in space to be many square kilometres in area. They say 8 times as bright as the moon. Moonlight is under 1 lux, so call it 8 lux. Full sunlight is around 100,000 lux. So you need a surface area of around 8/100,000ths the area of the city you intend to illuminate. If I did my quick maths right, You need a reflector of 48x48ft for every square mile of city you wish to illuminate. Re: "So, HOW BIG does that mirror need to be?" My back of the envelope calculation runs thus. Sun is about 400,000 times brighter than the moon. So about 600m diameter mirror. and the chinese military would love to use it to help light up other areas in a more focussed manner (to a few micron for example). So what happens to that radiation pressure? In order for the satellite to remain in its orbit, something has to counteract it. The maximum radiation pressure would presumably be 9.08N (see link above) per square kilometer of mirror, although in reality it would presumably be somewhat less depending on the angle of the mirror to the sun. Not an insignificant amount of force to counter, particularly given its continuous nature, and it will have to be countered. "So what happens to that radiation pressure? In order for the satellite to remain in its orbit, something has to counteract it. " Not necessarily. It could be arranged that the pressure during one half of the orbit is exactly the same but opposite direction to the pressure in the other half of the orbit. In fact, adjusting the mirror "sails" during China's daylight period could be used to adjust the satellite's orbit, thus reducing or eliminating the need for it to have any orbital engines. Eight times brighter than the Moon? Over its far smaller apparent size compared to the Moon, I assume? I don't see how this could possibly light things up enough that you wouldn't want street lights. It isn't as if street lights turn off when there's a full Moon, and there's no way this could come anywhere near the amount of light you get from a full Moon. Are we sure this isn't Elon Musk in disguise? It sounds like one of his harebrained ideas. Not that I disagree with you in principle about the scale of this thing, it's worth pointing out that the moon is not very reflective. It has an albedo of around 10-15%. A mirror would be closer to 100%. "the moon is not very reflective. It has an albedo of around 10-15%"
The moon is actually about as reflective as your average tarmacked (asphalt for our American cousins) road . Which sounds like nonsense until you think of a road illuminated in bright noon summer sunlight with no clouds (or indeed atmosphere). Also, of course, you mainly see the moon at night when your eyes have adjusted to the darkness, so it appears brighter. Here's a picture of the Earth and Moon taken together which gives a better idea of it's colour and relative brightness. Is that actually taken together? Who or what took the picture? Deep Space Climate Observatory (DSCOVR). Do try to keep up. "Is that actually taken together? Who or what took the picture?" Yes, but that's the dark side of the moon! Like most Chinese cities, this place is really busy and has a ton of lights inside buildings. They could probably turn a lot of streetlamps down or off that are near big buildings already pouring a ton of light out and save some money there. Meanwhile, it's going to be more cost-effective to just get more efficient systems for generating power and turning it into light rather than sending even more unneeded junk into orbit. "...Yes, but that's the dark side of the moon!" Oddly enough, that's the _bright_ (as well as far) side of the moon, the one that's mostly mountains rather than mostly maria. "Here's a picture of the Earth and Moon taken together which gives a better idea of it's colour and relative brightness"
I wonder how hard it would be to alter that albedo a little. Perhaps a few lunar-orbit mirrors focusing concentrated light to melt and reflow the surface? "It'll be a shaped mirror focussing on a relatively small area." a city isn't all that "small" but yeah, not like the moon which is competely UNfocused reflection. A space-mirror would have solar energy reflected from it based on the total surface area of the mirror. if the mirror were exactly the size of the city, perfectly focused, etc. it would light it up like daylight. A fraction of the surface area of the city means an equivalent fraction of the light level, and so HOW bright did you want it? HOW big does that mirror need to be? 1/10 the surface area of a city with a population THAT large? Oh let's just ballpark it at 100 SQUARE MILES!!! "and there's no way this could come anywhere near the amount of light you get from a full Moon." Of course it can, and the article states that it will be 8 times brighter. The Moon is not only much further away, but most of the light it reflects does not hit the Earth. The mirror would focus 100% of the light it reflects onto a tiny fraction of the Earth's surface. (In fact the Moon, being convex, is exactly the *wrong* shape for an efficient light-mirror). Yes, the Moon reflects most of the light away, and has a poor albedo, but it is many orders of magnitude larger than this satellite will be. I don't buy the 8 times brighter just because an article says so. I want to see the math. I found something that says the sun is 400,000 brighter than the moon. So if you assume this is eight times brighter than the moon then it must be 1/50,000th as bright as the sun. So you'd have to reflect light equal to 1/50,000th of the sun onto this city sized area. I don't know how to calculate the size of the mirror that would require, but that's a huge damn mirror. It isn't going to be some "simple" 50 meter x 50 meter unfolding mirror like the solar panels on a communications satellite. Some Random Guy (tm) on slashdot did some calculations, and he figured it would take a perfect mirror (100% reflective) 2500 m^2 to equal the full moon over an 800 km^2 area. Assuming his calculations were correct, or close to it, if you want to be eight times as bright and account for the mirror being less than perfect, you're talking more like 25000 m^2. Since the mirror would need to track to maintain the spot during the night, that's a LOT of mass to be moved (even assuming you using some sort of fabric with flimsy support structure behind it) given the size required. Maybe you can get the rotation of the satellite just right so it tracks as desired, but geosynchronous orbits are not stable, they need station keeping to maintain. Every time you fire the thrusters to tweak your orbit, you would destabilize the rotation - and if you can't find that 'just right' rotation you'll be using thrusters to move the mirror, meaning the satellite would have a pretty short life before it runs out of fuel. "Are we sure this isn't Elon Musk in disguise? It sounds like one of his harebrained ideas." You might be right. So I guess this mirror will have to be called the BFM. Seems like the ideal payload for a BFR. I'd very much like to know how you define "small", seeing as how the Sun in NOT a point source - but rather a sphere (disc) with a diameter of one and a half million kilometres, each square foot of which is still illuminating Earth unless you have some part of your "small" disc covering it. The shadow of an object smaller than the Sun, placed between it and the Earth is actually a cone tapering off into nothing behind said object because of that. And notably, the Earth isn't a point target either. To black out just one single parking lot on Earth you would need an object of at least that equal size between it and the Sun, in close Earth orbit. How would you propose blacking out anything larger, with a _single*_ object of realistic dimensions, disc or not? I wonder if the mirror could concentrate the sun's rays onto a small area making a nice Bond-esque weapon? The other way of course is to make all the farmers smelt steel instead of growing crops. A bit tough on the old choppers, though. And not as nutritious as the crops. Plus side is more work for the dentists. He would appear not to know what he is talking about. If you look at moth trap collections on different nights of the lunar cycle, you will start to see a pattern (allowing for cloudy nights). Quite a lot of life forms are sensitive to moonlight; in fact I would say that the majority from insects to animals to a lot of plant life are sensitive. Now, I'll grant you that a new constant moon isn't going to have all that much effect, especially not when compared to street lights in a city, but it is going to have some effect and not none at all. "Now, I'll grant you that a new constant moon isn't going to have all that much effect, especially not when compared to street lights in a city"
Given that the whole point is to replace street lights in a city, at a minimum it must have at least the same effect as street lights in a city. In practice, street lights are generally placed only in areas where there's actually a reason to have them, with plenty of back streets, parks, non-residential areas, and so on, left unlit. And even then light pollution is a huge problem that interferes with everything from insect lifecycles to sleep disorders, and that's before you even start thinking about the harder to quantify aesthetic effects. Having an entire city lit up everywhere at all times is just a terrible idea in pretty much every conceivable way, and has exactly zero possible benefit compared to the alternatives. Or .... improve solar power ? I vaguely recall a part-baked-idea (Arthur C. Clarkes favourite kind :) ) about launching a mirror (or array of mirrors) to focus sun onto a reactor - presumably boiling water ? The idea being you could have solar power at night ? Re: Or .... improve solar power ? Clarke's geostationary satellites are a half baked idea? And it carries no survivors"
I asked a refugee what they thought of Scotland, and normally foreigners are very polite and spout platitudes. She wasn't. "I hate it, I hate Scotland. The people are very rude, it is very cold, and THERE IS NO SUN. How can you live without the sun?" I burst out laughing and told her she'd fit right in and deserved to live here. Re: How can you live without the sun? I'm friends with a Spanish translator here, who I've been teaching Scottish idioms and slang. I knew my work was complete when she emailed me from Spain to complain about how peely-wally she was compared to her family. Any day the sun shines on Scotland should be a national holiday. "The idea is the brainchild of Wu Chunfeng"
Should be doable. Maylar is light, the backed film is ~200 gm/m^2. 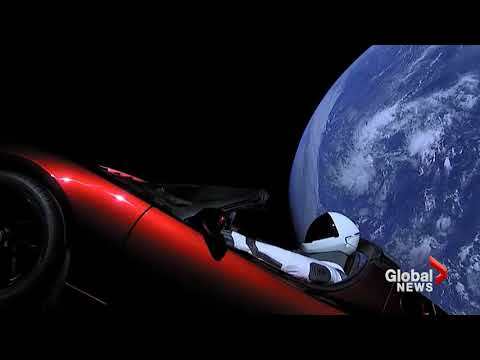 If you left a generous ton for reaction wheels and solar cells, give 15,000kg for the mirror on a Falcon Heavy (only side recovered config) to GTO. At just under the weight of the mylar again for supports, folding mech per m2, that gives you an area approaching 2 MicroWales. "give 15,000kg for the mirror on a Falcon Heavy"
No. The only way to get a BFM into space is with a BFR. It would be far more profitable if the beam could be accurately focused onto small areas, like 1 square metre or less. Then they could hire it out to governments, superpowers, assassins, terrorist groups etc. I'd say that would make far more money than just saving a large city's leccy bill. If we have a whip-round, how much would it cost to put up a mirror big enough to heat up a medium sized northern town to t-shirt weather in winter, costa del pint-of-bitter-and-a-meat-pie in summer? ( Trillions, I assume, but worth a punt. If my council is going to piss money down the drain, maybe I can convince them to piss it down there on this ). When is it not t-shirt weather in a Northern town? Marginally more seriously, imagine if the ailing northern tourist towns invested in this. Rather than fly to Spain for a Mediterranean climate, drive down the M6. I wonder what it would do to weather patterns - would it cause hurricane force winds due to the temperature gradient for example? The moon is 384K km away. For the mirror to be in position every night, all night, it would have to be in geostationary orbit at 36K km away. So it would have to be about 1 tenth the width to the moon to appear the same size, so about 350 km in diamter. Now happily the moon isn't very shiny, about 12% of light gets reflected. So our mirror, to reflect the same amount of light assuming 100% reflective, would only have to be about an 8th in surface are. That still makes a mirror about 120 km across. The extremely delayed James Webb telescope has a mirror of 6.5m diameter. That only really reaches maximum brightness when most of the sunward side of the mirror is visible. Generally it would appear in the sky as a bright ellipse (Or not at all) unless it was set to rotate. I mentioned earlier, it's really about total surface area if you focus the energy with a parabolic reflector. So the idea is, that if the sun puts out a certain energy, and the moon's reflection is a fraction of that energy, then the ratio of the surface area of the mirror to that of the illuminated zone is roughly the same as the ratio of the moon's total luminocity (as seen on earth) to that of the sun. It's still implying a ginormous mirror, something made of mylar would still be uncontrollable without supports, yotta yotta and the weight goes up from there. Even memory-metal wouldn't help at that point. The mirror on the JWST is rather different to a reflective bit of tinfoil that must point at a patch of earth. You sums are wronger than a wrong thing. You completely neglect the fact that the Moon's reflected light is beamed out over a very wide angle, covering a far greater area than a complete hemisphere of the Earth. The mirror would be focussed to an angle of far less than 1 degree, designed to illuminate only a tiny fraction of the Earth's surface (so requiring many orders of magnitude less light than the Moon to do so). Comparison with a telescope mirror is comparing apples to elephants. Telescope mirrors must be rigid to keep a precise shape, and so are thick & heavy. An illuminating mirror would not need to hold a precise shape, and would be made of extremely thin and light flexible sheets that are unfurled when in position. Bloody hell, give us some credit. "lunar-tic"? Geez. It's almost as if the writer didn't know the origin of the word he was implying. Don't we have enough light pollution already? I doubt Mr. Wu will. "So, at a time the entire planet is trying to cool off here comes a geezer with a plan to redirect energy that was bypassing the Earth." It would be perfectly possible for the mirror to reflect predominately the visible part of the spectrum, which would most probably generate less heat at the Earth's surface than is generated by the street lights (which generate heat themselves, and require electricity generated by a power station that gives off heat). I live in a city, and went on a trip to a country resort last summer. For the first time in years, I really SAW the night sky and the Milky Way. Street lights are a good thing, but we do pay a price for them. What about werewolves? Did you think of that Mr Smarty Pants? I came here for the math, but was also looking for real report on ware-creatures. I found only one, just posted. Leading to an inescapable conclusion. Ware-moderators deleting the objections. The problem runs far far deeper than I had feared. Its called Pegasus and its made with conflict diamonds from West Africa. Actually space mirrors are eminently possible and require very little mass. The hard part is engineering the mechanism to unfold delicate foil in the void, after surviving launch and geosynchronous insertion of course. The solution of course is to not use street lighting at all. There's nothing wrong with it being dark out, just need to reprogram the monkey brains! Gotta have some illumination to cook sweet-and-sour! This does seem to be attention seeking behaviour, and with not much chance of success, to say the least. Wasnt this a Bond villain plot in Die Another Day? Does it also make his pet sharks hunger for human flesh? It won't bother the fauna. Really. What you want is something mid range, - GPS have about a 6 hour orbital period, I imagine an 8 hour period would work well so long as you use multiple units to hand off duties as the geometry progressed. The whole system would need to be dynamic, not a static mirror sitting over the target but multiple satellites radically changing orientation continually through out their journey. Think intricate clockwork. but it is still a really bad idea from an environmental perspective - it will burn out every organism that regulates its life from a lunar cycle - and the lightspill pollution will be far more widespread than any ground level illuminated site.